Made from ultra-durable 500D/1050D nylon, the HAVOC 30 Backpack features waist belt magazine pockets, double AR magazine/water bottle pockets, and admin pockets for good measure. The 1.5" waist strap is 5.11 Tactical Zero-G Plate™ compatible, and the hydration pocket is chest plate-compatible, meaning you'll have unmatched armor and ammo support, all in a sleek, low-profile package. 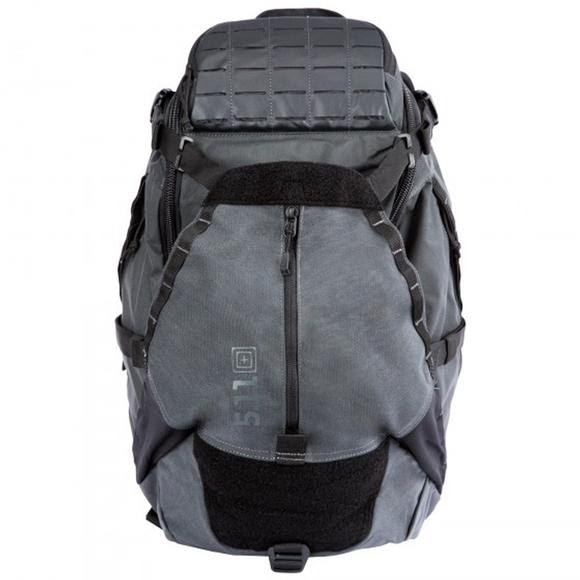 Made from ultra-durable 500D/1050D nylon, the HAVOC 30 Backpack features waist belt magazine pockets, double AR magazine/water bottle pockets, and admin pockets for good measure. The 1.5" waist strap is 5.11 Tactical Zero-G Plate™ compatible, and the hydration pocket is chest plate-compatible, meaning you&apos;ll have unmatched armor and ammo support, all in a sleek, low-profile package. A laser-cut MOLLE platform and padded eyewear pocket add utility. On-duty, at the range, or on day hike, this bag backs you up.